Did you miss it? My exhibit at Art Obsessions art gallery a couple weeks ago was a lot of fun. 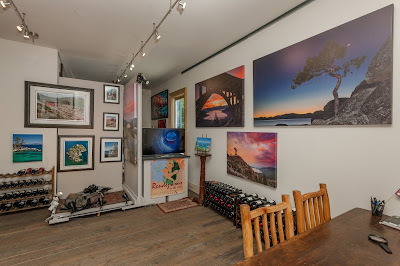 I had many of my large 40"x60" canvas prints up and I thought the Jordan, the gallery director, did a great job with the hanging and presentation. So good that I decided to take a few photos of the exhibit and the rest of Art Obsessions. 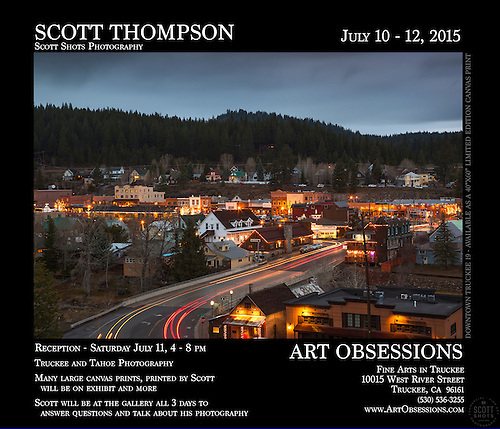 Please come on out to Art Obsessions in Downtown Truckee, California July 10th - 12th, 2015. I'll be the featured artist there and I'll be exhibiting many large Tahoe area prints, printed by me personally. The exhibit reception is Saturday July 11th, 4-8pm. See you there! Wow! Just wow...Incredible job SBS Media House! 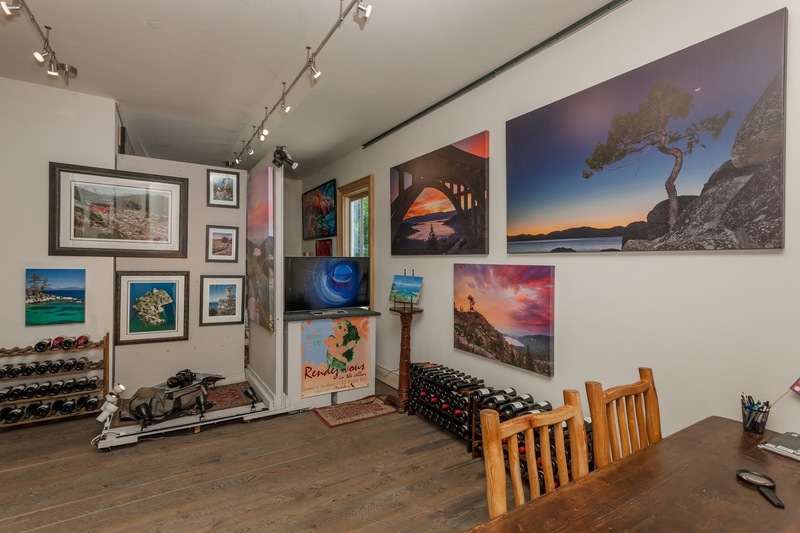 Thank you, to you and Art Obsessions, Art Gallery in Truckee, CA for putting this together!Please stop by Art Obsessions this Friday, Saturday or Sunday and check out my big photo exhibit. Saturday July 11th 4-8 pm will be the exhibit reception but I will be at the gallery all three days. Come enjoy the art and good times!